I, psychologist by education, human-centered interaction designer by trade – my only completed software project so far being a web-based Advent calendar I made years ago – have embarked on a journey to write my first KDE tool. How did it come to this? These two may sound completely unrelated at first, but they both were key in sending me down this path. This article will tell the story behind 1, which is about my very first code commit to KDE. I will go into quite some detail because I feel that my journey may provide some insights for KDE. This story started on April 6th. I was discussing with Aleix Pol about actual vs. perceived performance in Plasma and other KDE software. One thing we agreed on was that animation speed has a big impact on perceived performance. During that discussion, we found out that the setting for the animation speed is almost impossible to find in System Settings, because it sits in a module where you would not expect it to be (Display and Monitor > Compositor), and searching for “animation speed” points you to the wrong module (this was due to an oversight when the “Desktop Effects” module was split in two and the search keywords were not adapted). The “it sits in an unexpected module” problem is about to be fixed by moving it into the “Workspace behavior” module, but first I wanted the actual bug with the search pointing to the wrong module to be fixed. At first, as usual, I wrote a bug report about it. Then, Aleix, being a cunning little Spaniard (*scnr*, I know you’re Catalonian), said these fateful words: “You could fix this one yourself!”. Now the cunning part was that he knew I could not defend myself by saying “But I don’t know C++ …” because the search keywords are defined in .desktop files, easily read- and writable for mere mortals like me. So, without any good argument why I couldn’t, I set out to fix it myself. The first obstacle on my journey was that even after years of being a KDE contributor, I still did not have a KDE developer account. The reason is simple: My contributions usually come in the form of text and mockups, not code. I describe my ideas in wiki pages, emails, forum posts, chats, review requests, bug reports, blog posts, …, but not in repositories. For this simple patch, I could have just put it up on Reviewboard or Phabricator and have someone else commit it, but if I was going to contribute code, I wanted to do it properly™. Besides, I saw an opportunity in this exercise: We often hear that while new contributors perceive KDE as a very friendly and welcoming community, they perceive the organizational process of becoming a KDE contributor as relatively difficult, and now I could experience that process first-hand and see what could be improved. So I wanted to go all the way. Now first of all, I needed to get a developer account. I know that community.kde.org is supposed to be the place where every information for the community can be found, so I looked there. The “Get Involved/development” page looked promising. And indeed, this had a link to the “Get a Contributor Account” page. Here I found the first inconsistency: On the page, it was called a “contributor account” whereas in the actual application process it’s called “developer account”. I have fixed that now, changing (hopefully) all of it to “developer account”. “Developer account” made more sense to me, because – as evidenced by for example by me – not all contributors need such an account. Apart from that, though, the documentation there was pretty straightforward. With that and Aleix’s blessing, I had my Developer account created the next day. Now the more difficult part was setting up Git. The “Get a Contributor Account” page (which will hopefully soon be renamed by someone with the necessary privileges) had a link to a “next tutorial” in the “And now?” section which in turn was just linking back to the page you came from, along with something about me having to adapt my local copy to a new server (without further specification). I did not understand that part, so I asked Aleix what it meant and now we have made it more specific. Olivier Churlaud, our new Master of the Wikis, then pointed out to me that the best pages for further information would be the Git or Subversion pages, depending on the project one wants to contribute to, so I’ve now linked to those from the “And now?” section. Following the instructions by the letter bit me in the behind later on when I tried to commit, because of course Git ignored the last name after the space and then the server could not identify me. Without Aleix’s help, I’d never have been able to identify the problem, let alone fix it. just to remind people to put their name in quotes. The page also recommended to use the Git commit template from kdelibs. This sounded outdated to me given that kdelibs is long deprecated by now, but since I wasn’t aware of any other commit template, I went ahead and used the one from kdelibs, anyway. I’ve now started a discussion on the kde-devel mailing list regarding where we should put that template in the future. Aleix suggested that I’d use Arcanist to link my commit to a review on Phabricator, but since I didn’t want to install another tool just for my one commit (and Arcanist was never mentioned in the pages I’d come across on the wiki, either), I decided to skip that for the time being. So I manually created a Diff on Phabricator (like the “Get Involved/development” page had told me), which was reasonably simple. Now it was time to actually commit and push my changes. For that, the page “Infrastructure/Git/Simple Workflow” sounded like the most fitting one to follow. I did what I was told there to add and commit my change. Now for the commit message. Following the link trail from the Simple Workflow page lead me (through one unnecessary hoop which I’ve now cut out) to the “Special keywords in GIT and SVN log messages” section of the “Commit Policy” page. There I found what I was looking for, except for how to link to the Diff on Phabricator (I’ve added that now). With my commit message complete, I could finally push. I was asked whether I should add the server with the fingerprint SHA256:75pLvlr+9A0ki9YlWAz+il4UPI+N81uMvcocs42d0wU to my list of trusted servers. I remembered that the Git Configuration page had also mentioned server fingerprints, but unfortunately, those did not match the fingerprint Git presented to me. Aleix told me that the server was okay and the page was just outdated. Accepting a fingerprint which does not match the one you find in the documentation of course defeats the purpose of putting fingerprints in the documentation in the first place, so we have to either remove them from the wiki (I did that for now) or find a way to keep them up to date. Now, finally, my first commit was pushed! Closing the bug automatically failed, unfortunately, because I had not heeded the advice in the page about getting a developer account which said “Also note that this email address should be the same one that you use on bugs.kde.org“. This one’s on me, then. So, this is the story of my very first commit to KDE! I learned a lot along the way, uncovered some slight shortcomings in our documentation and fixed most of them. I can say that trying to relive the first contribution experience first-hand is a good lesson for anyone who cares about improving it. In the next posts of this series I will expand on that by creating my own little tool for making the creation and updating of AppStream metadata for KDE applications easier, and I will be doing it in the way I know best: the user-centered way. Have you started contributing to KDE recently, or know someone who has? If so, please let us know about your experience! What went well, where could we improve our onboarding process in KDE? Tell us in the comments! As I wrote in part one of this series, we are currently creating Human Interface Guidelines (HIG) for phone user interfaces for KDE applications. First of all, we have to find out where guidelines are needed. There are different sources for this. One source are the already existing, desktop-specific KDE HIG. There we can identify the cases where what we suggest for desktop applications can’t be transferred 1:1 to phone user interfaces, and then write the phone-specific guidelines accordingly. Another source are of course the HIG users, i.e. mostly developers and interaction designers. From time to time, we explicitly ask them where they need guidelines the most, or they come to us telling us what they need. A third source are other phone HIGs, like for example the Material Design Guidelines. They’ve been written based on past experience with what mobile app designers and developers need, so it makes sense to check out what they define, as it’s likely our designers and developers will need the same information. The extent of this step depends on the specific topics. Things like defining how checkboxes should be used involve more “dull” work and less creativity, whereas more innovative parts like navigation patterns involve more creative ideation. Our brainstorming usually happens on a Telegram group we have created for that purpose. There everyone can present their ideas, we discuss them, weigh the pros and cons. Now it is time to write a first draft of the HIG. If it is an addition to an existing HIG page which just details phone-specific guidelines, the existing page has to be separated into global and desktop-specific parts and then the phone-specific parts are added. This is mostly work on the details. If the HIG is completely phone-specific, it has to be created from scratch. The challenge is to find the sweet spot of “as long as necessary, as short as possible”. Too many details, and it risks becoming too long for people to want to read it. Too few details, and we risk a lack of consistency between applications because everyone interprets it differently. A good HIG of course also has to be understandable and to feel useful for its readers. The draft is then sent to the KDE Guidelines mailing list (you’re invited to subscribe to it here if you’re interested) where everyone interested can give feedback. Particularly (but not only) developers are invited to give feedback on technical feasibility here. In this step, the HIG is iterated until no more suggestions for improvements are coming in. If the HIG describes a specific part of a user interface (which most of them do, except for very generic ones such as wording or icon usage), a developer creates a library implementation (for example a shared QtQuick Component) which allows developers to easily implement the HIG without starting from scratch. This happens ideally in parallel with the discussion on the mailing list. Creating a library implementation is very important because the HIGs are much more likely to be followed correctly – and much more likely to be followed at all – if following them makes a developer’s life easier, not harder. The library implementation is at the same time also a first test case for both the clarity of the HIG and the technical feasibility of implementing it, often resulting in valuable feedback from the developer creating them. When all the designers and developers involved are happy with the state of the HIG, it is time to put it on the HIG Wiki. This is the point where the HIG is ready for use by designers and developers. That does not mean it’s set in stone yet, however. While the API of the components should be kept as stable as possible, the HIG itself has only existed in a vacuum up to that point. 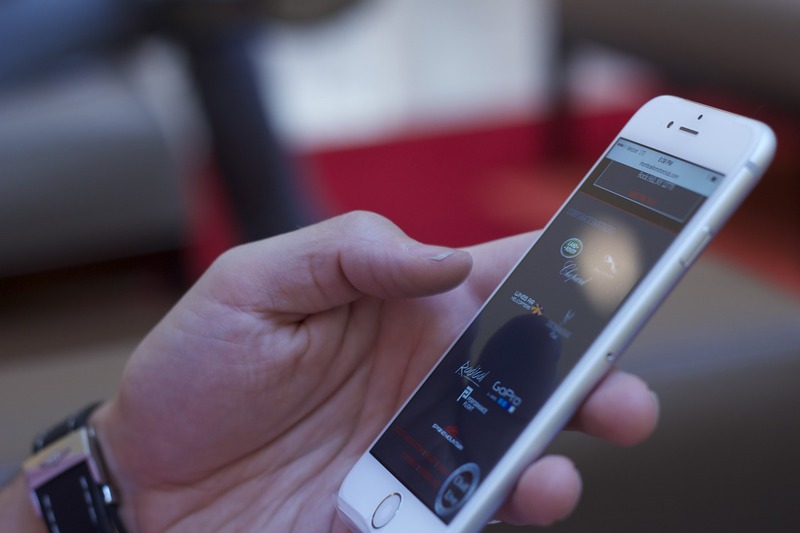 It still has to see implementation in real application user interfaces, where we can test prototypes with real users and see how our ideas which were sound in theory hold up in practice. Based on the feedback from these tests and experience with implementing it in general, the HIG may still be refined later on. On the one hand, we don’t want to force developers to continuously adapt their user interfaces to ever-changing HIGs, but on the other hand, setting a HIG in stone and refusing to update it with new knowledge would prevent us from providing users the best experience we can. The next (and probably last) part of the series will describe the application of the HIGs in the design of a KDE application’s phone user interface. You will have to be a bit patient for that one, though, because we’re only just starting the design work which the post is going to talk about. 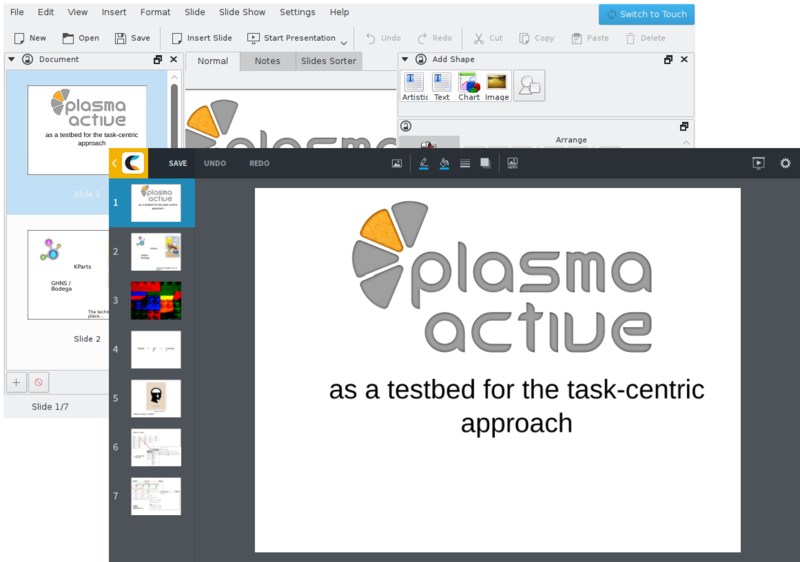 In July, Eric Griffith wrote an article at Phoronix where he compared Plasma and KDE Applications to GNOME and detailed where they do things better than us and what he finds annoying about our software. We don’t react to angry ranting, but Eric took the time to point out in detail where exactly we could do better, and I found that in many regards, he had a point. We in KDE don’t ignore constructive feedback, so at Akademy, we set out to find solutions to the issues he pointed out. In order to maximize the reach of our efforts’ documentation, I decided to write a two-part series about it over at Linux Veda, a “web-magazine to share and spread knowledge about Linux and Open Source technologies” which has always been very interested in – and generally supportive of – KDE. So far I’ve finished the first part, which covers the login screen, KWallet and media player applications. After J Patrick Davenport told me all about the advantages of ArangoDB during my Interview with him, it’s now time to get my hands dirty with the software. and therefore I’m just going to install ArangoDB on my Manjaro machine first. Ha! And while I’m at it, I’ll document what I did so you can easily repeat the steps. While ArangoDB offers packages for all major operating systems (even including Raspbian, which is awesomely geeky) in their download section, there isn’t one for Arch. This makes sense, because a) Arch isn’t commonly used on servers and b) the common way to get third-party software on Arch isn’t pre-built packages, but the Arch User Repository (AUR), which is basically just a site that hosts build scripts for users to compile software automatically on their own machines. The downside, of course, is that the burden of compiling is transferred to the user, but the advantage of that system is that it makes maintaining an AUR package as easy as writing a build script and updating it when new versions of the software come out or the source code URL changes. That – and the fact that the Arch community is just hyperactive – are probably the reasons why you have to try really hard to find a piece of software for which no AUR package exists. And since Manjaro Linux is fully compatible with Arch, it is also fully compatible with pretty much any AUR package (the only exception would be if the AUR package depended on other packages which have only just arrived in the Arch repos and therefore still needed some time to arrive in Manjaro). if you’d like to compile directly from the development repository (for example if you’d like to become an ArangoDB contributor). in that directory to automatically download the source files and build ArangoDB. UPDATE: By now, the AUR package has been updated to version 2.6.2, so you can now use it directly. Whichever route you take, both yaourt and makepkg will automatically install any unmet dependencies (on my machine I had everything except Go), compile ArangoDB and offer you to install it. The post-install script will ask you to run a database upgrade if you have an existing ArangoDB database, and enable and start the ArangoDB systemd service. If you’re installing ArangoDB for the first time, you can safely ignore the first instruction. 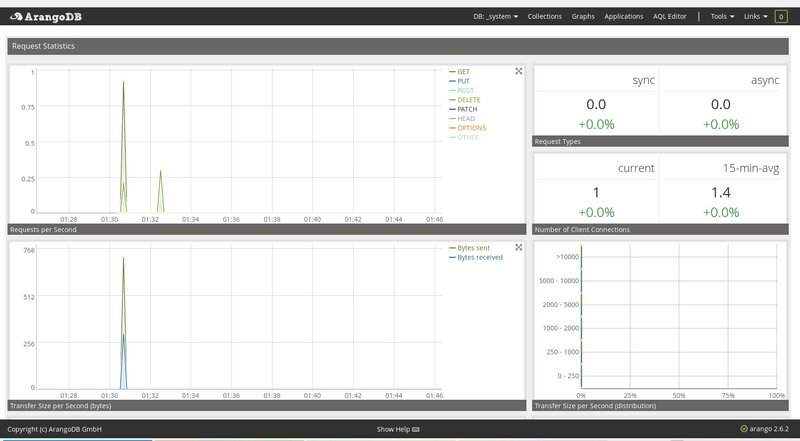 and you should be greeted by its web interface. This tells systemd to create a folder on startup if the service is enabled, which is writeable by the arangodb user (and readable by everyone else). Congratulations, you should now have a working ArangoDB installation! As the next step, if you haven’t already done so, I’d recommend checking out the First Steps section of the ArangodB documentation to make yourself familiar with the database. In the chapter Collections you will learn how to create your first collection with some documents in it and query for them. This also shows you if your installation really works. 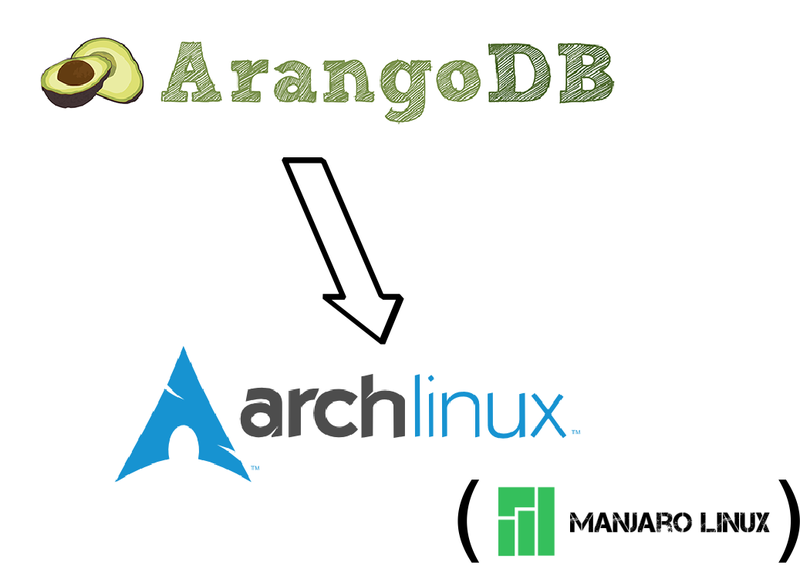 If you’d like to try out ArangoDB on an Arch-based distro, I hope you will find this little how-to helpful. If there is anything unclear or not working, please comment and I’ll be glad to help ypu!